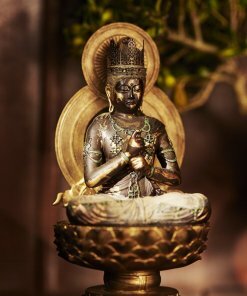 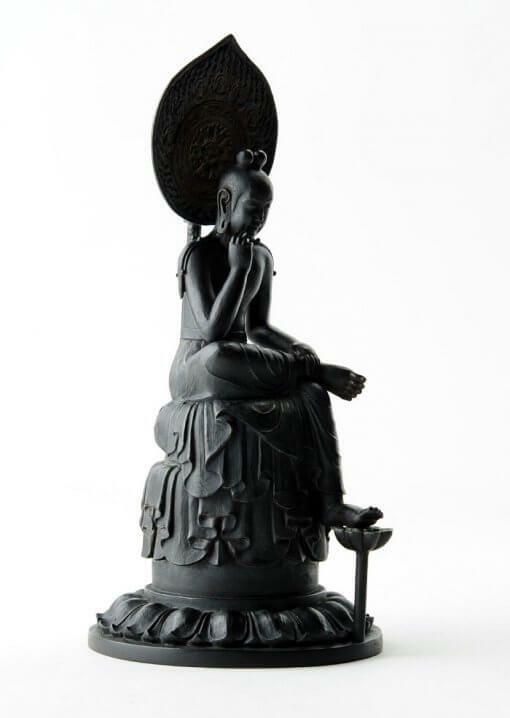 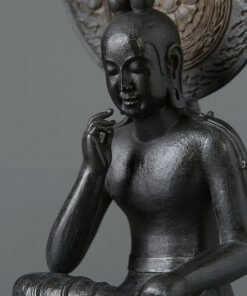 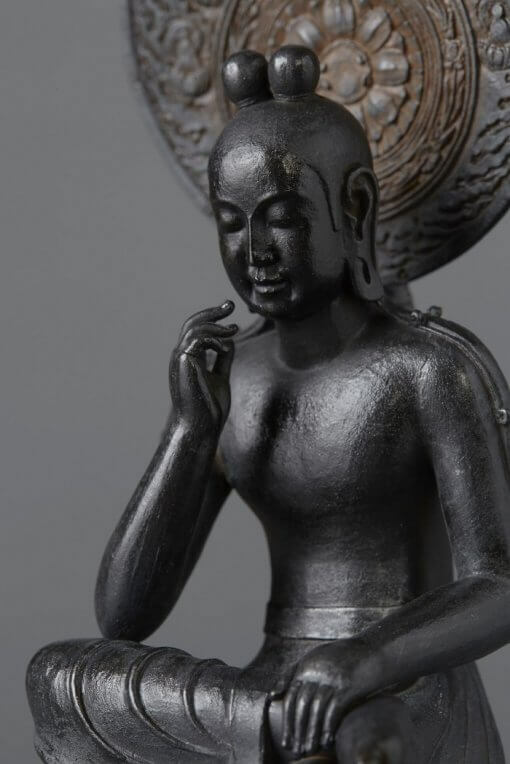 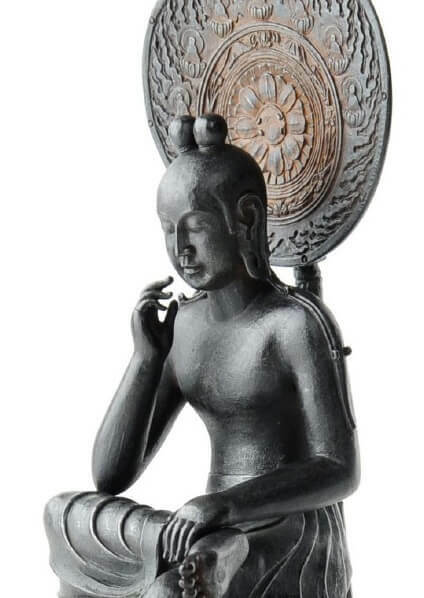 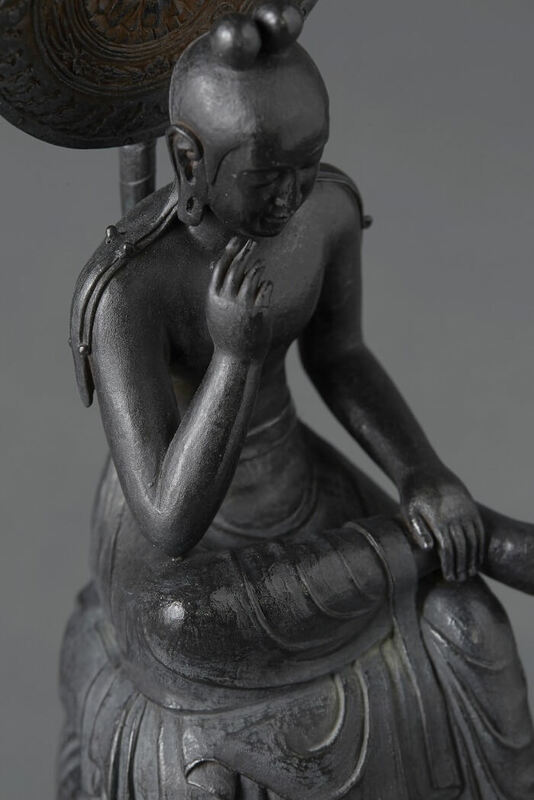 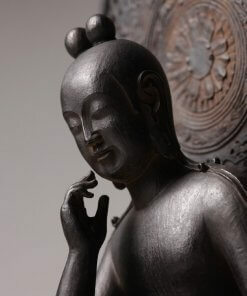 This Buddha figurine is a model of the Palm-size Statue Series. 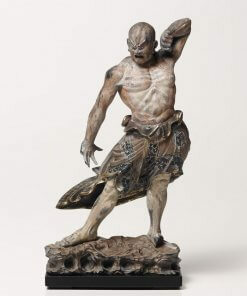 Although their sizes are small (around 20cm / 8in height), details are elaborated as high quality as medium and large models. 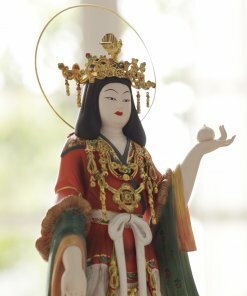 Model of this statue is Bosatsu Hanka Statue enshrined at the oldest Ama Temple in Nara, which is designated a national treasure of Japan. 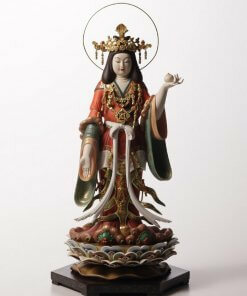 “Basatsu” is a Buddhist saint. 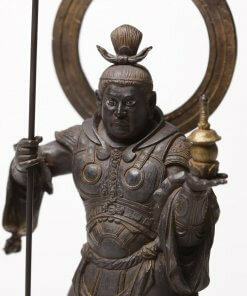 It is said that the original statue had painted vividly in the old era, it’s gone as long time passes. 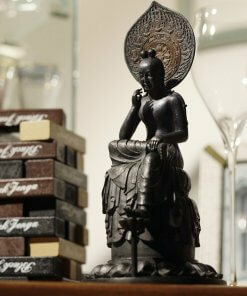 However, its glossy black basement color emphasizes nobleness of the Buddhist saint. 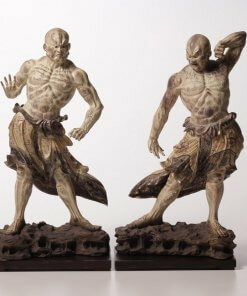 To make this statue, their beautiful proportion is completely replicated. 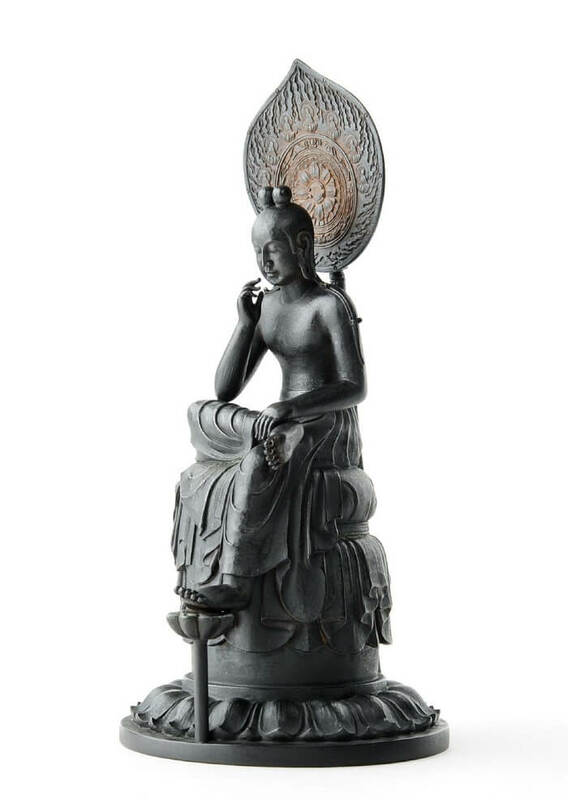 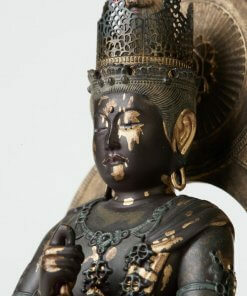 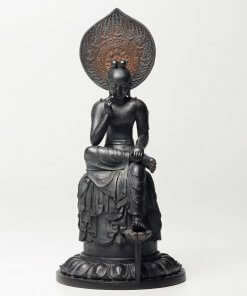 Different black colors are used for face, breast, cloths and aura ornament behind the statue. 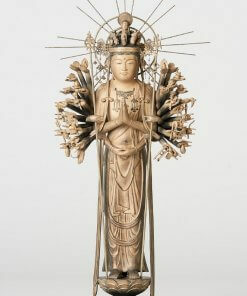 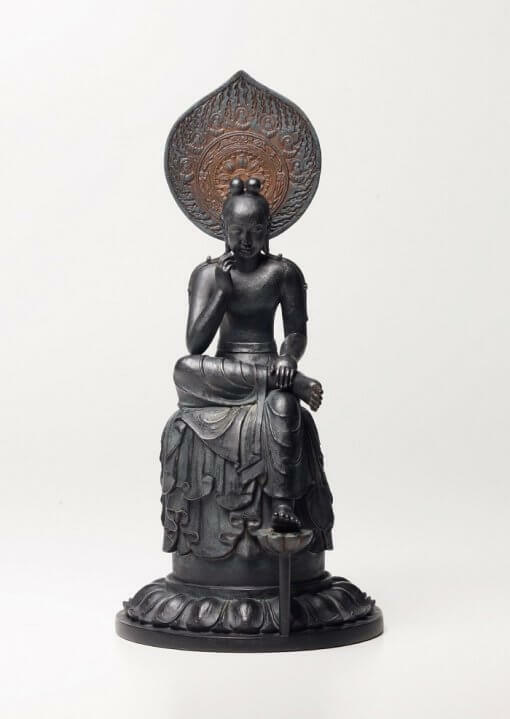 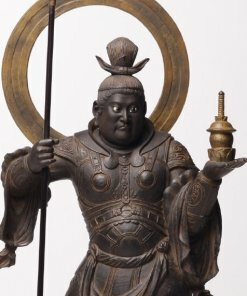 Bosatsu, also called Bodhisattva, is a Buddhist saint, who is going to redeem people. 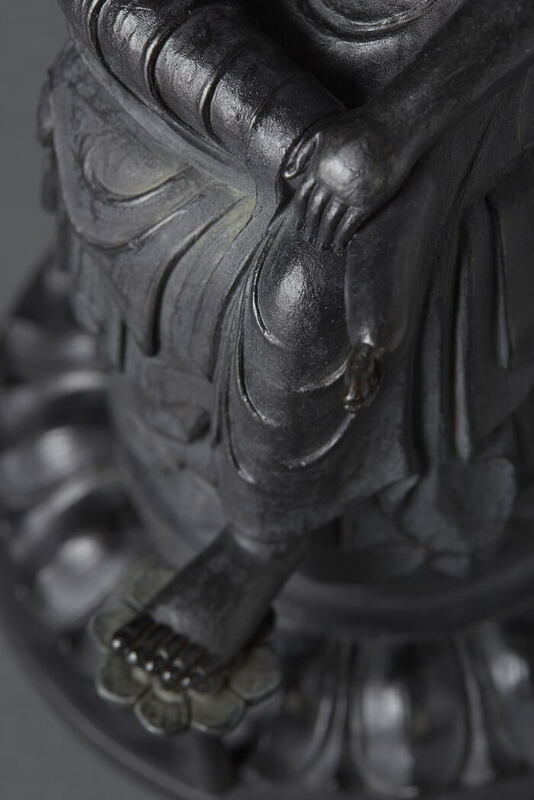 Their posture of putting right leg on left knee is called “Hanka Shiyui” which is to attain enlightenment. 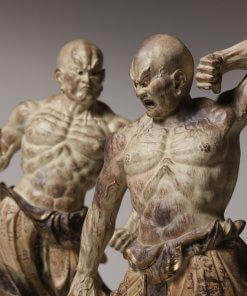 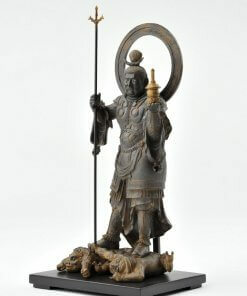 Bosatsu is regarded to redeem people in this world. 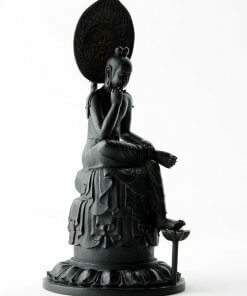 The statue is made of a mixture of stone powder and synthetic resins. 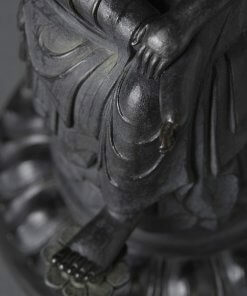 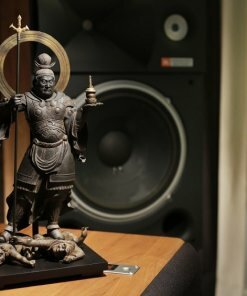 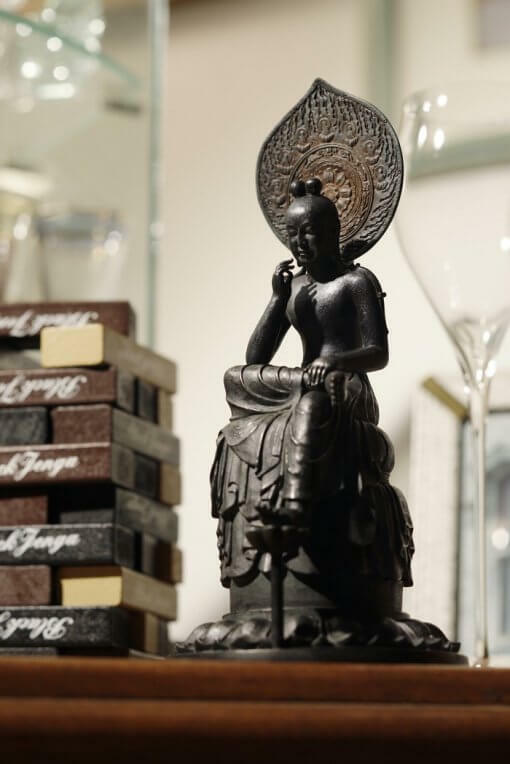 This material enables to give statue fine expressions and profound feelings like stone. 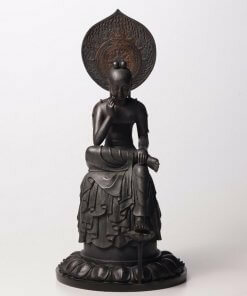 The statue has enough toughness and delicacy by changing combination ratio of raw materials appropriate for each part. 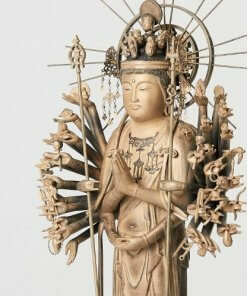 Statues are delicate. 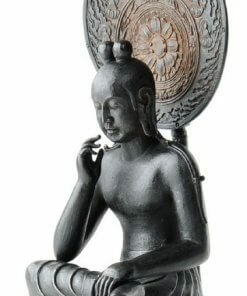 It may be damaged or broken due to a strong impact. 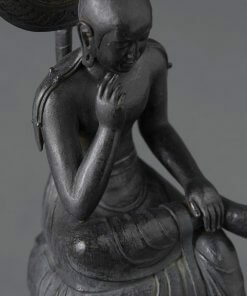 Please use soft brush to remove dust. 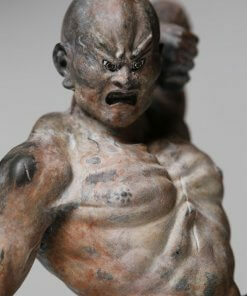 Please refrain from using shining cloths and cleaning sheets; it may contain water-soluble paint. 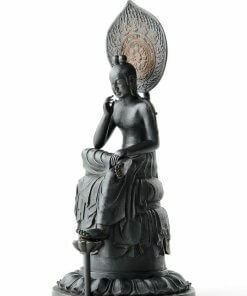 Avoid placing on the place with direct sunshine and/or high temperature.